With its appearance of a traditional wooden boat, the Bounty is a boat made of polyester inspired of the boats used during the boating’s "belle époque". 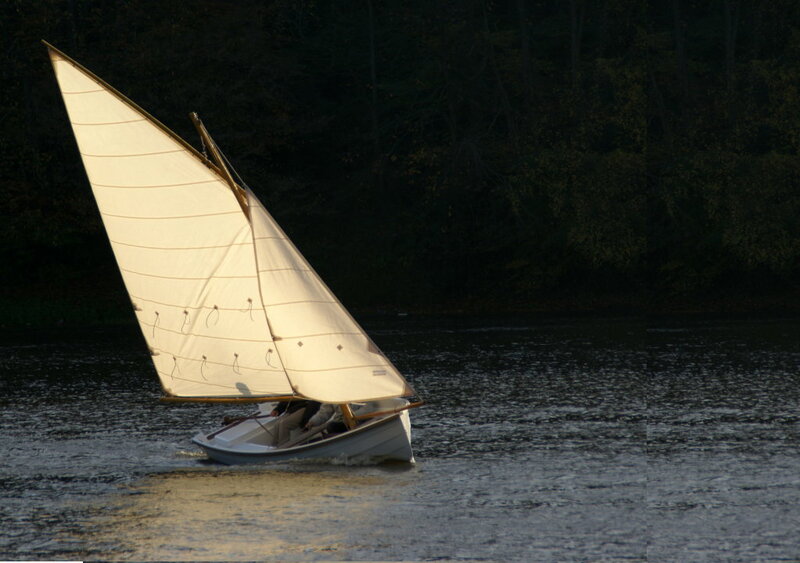 This boat is the reflect of the Minahouët, a sail-rower built at about forty units by the Grand-Largue shipyard. The Bounty offers to everyone the privilege to sail "a different way", a nautical pleasure reserved for too long to initiates.The boat is easy to rig and its use with a sail is really accessible to amateur sailors who are not aware of the traditional riggings. Bounty is two boats in one: either a dinghy with an outboard motor, or a sailing boat with the possibility to fit an outboard engine to its transom. The oars are available as an option in both cases for another way of navigation: rowing.